Donald Trump has signed executive actions restarting the Keystone XL tar sands pipeline and the Dakota Access fracked oil pipeline. We are asking everyone who spoke up, marched or sat-in to stand up and show Trump that our solidarity with frontline leadership is unshakable, and he has severely miscalculated: the opposition will only increase from here. We will oppose every fossil fuel project that violates the science of climate action, the rights of Tribes and the will of the people. Join the Pledge of Pipeline Resistance to be part of the first wave of action to stop Trump's pipeline plans. 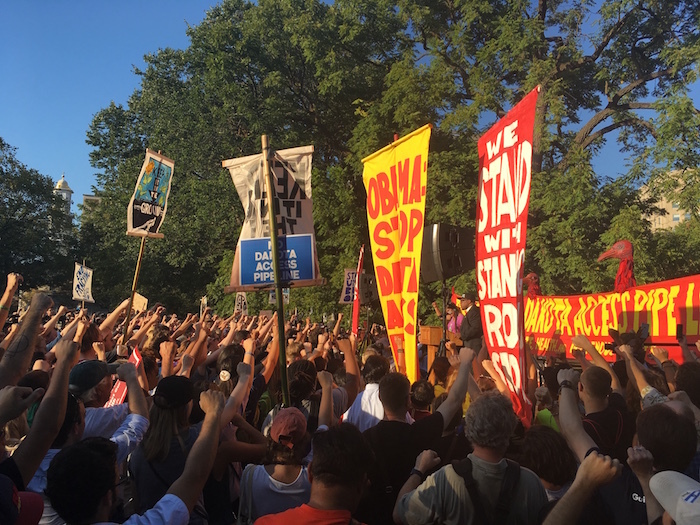 I stand in the path of the Keystone XL and Dakota Access pipelines. I will resist efforts to build any project that violates the science of climate action, the rights of Tribes and the will of the people. 350.org will send you updates on how we will escalate resistance to Keystone XL. DAPL and other fossil fuel projects. Thank you for signing the pledge. We need to act quickly, and in overwhelming numbers. Can you share this with your social networks? 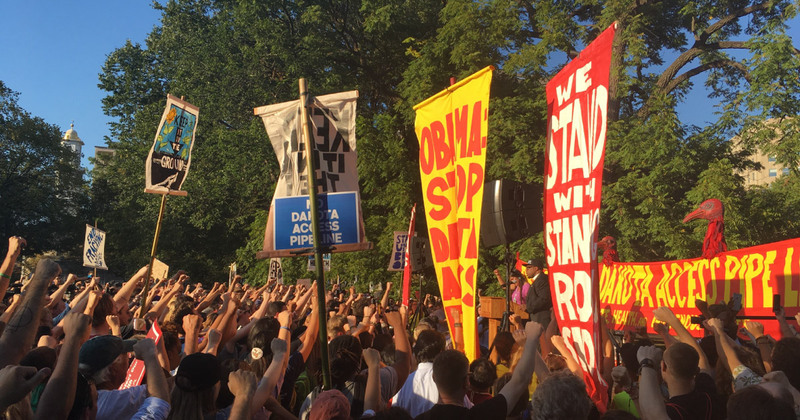 Donald Trump has signed executive actions restarting the Keystone XL tar sands pipeline and the Dakota Access fracked oil pipeline. We are asking everyone who spoke up, marched or sat-in to stand up and show Trump that our solidarity with frontline leadership is unshakable, and he has severely miscalculated: the opposition will only increase from here. We will oppose every fossil fuel project that violates the science of climate action, the rights of Tribes and the will of the people. Join the Pledge of Pipeline Resistance to be part of the first wave of action to stop Trump's pipeline plans.